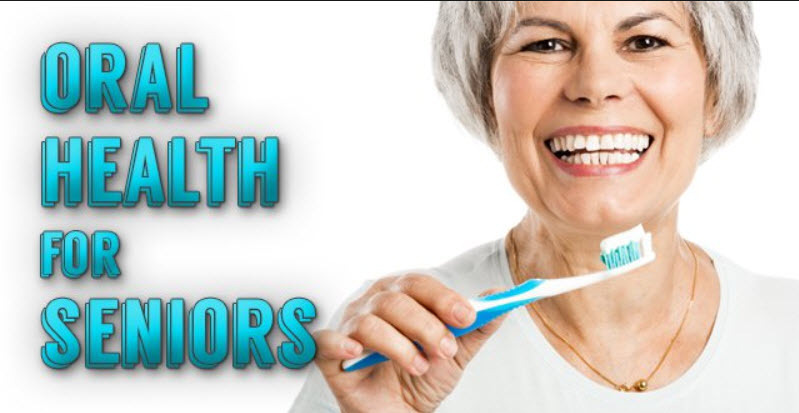 Oral health for seniors is very important and especially for those seniors suffering from Dementia. In many cases, progression of dementia prevents the senior from taking care of himself. It then becomes necessary for the family to hire a caregiver. A healthy mouth helps people enjoy their food, chew better, eat well, and avoid pain and tooth loss. With good oral hygiene and regular visits to the dentist, older adults can maintain their oral health. For example, flossing is very important. It removes dental plaque between teeth where a toothbrush can’t reach. If not removed, dental plaque can build up and cause tooth decay and gum disease. Here are some additional ways caregivers can help someone with dementia care for their teeth and mouth. Show the person how to brush his or her teeth. Go step by step. Remember to let the person do as much as possible. Brush your teeth at the same time. Help the person clean his or her dentures. Ask the person to rinse his or her mouth with water after each meal and use mouthwash once a day. Try a long-handled, angled, or electric toothbrush if you need to brush the person’s teeth. Wear gloves. Make an appointment and take the person to see a dentist. Some dentists specialize in treating people with dementia and Alzheimer’s disease. Ask the dentist how often the person should be seen. Learn more about oral health and older adults from the National Institute of Dental and Craniofacial Research, including tips for caregivers on topics like brushing, flossing, and finding low-cost dental care.